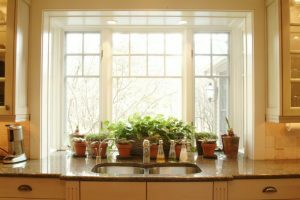 Beside the other rooms, kitchen has been important part in our house that also concern us most. 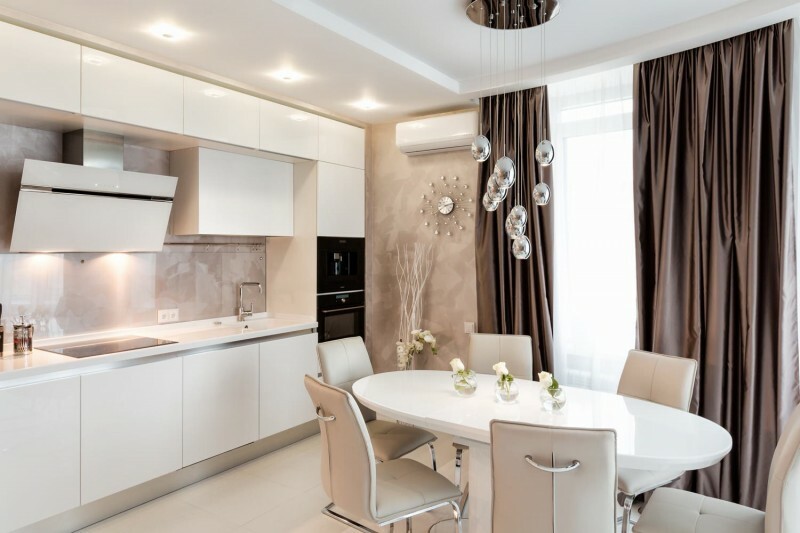 Some people will prefer to have one or single wall kitchen inside their house because it might be more innovative or it does not need large space to deal with it. 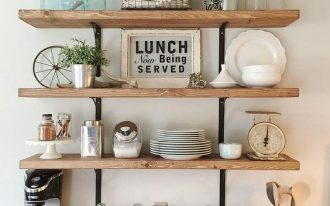 Here are ten ideas of alluring single wall kitchen you can take a look. 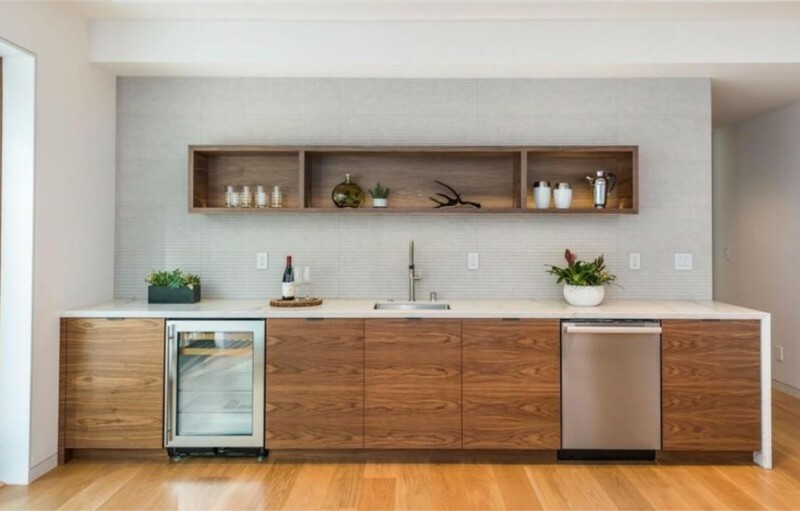 It is the perfect design of minimalist kitchen in compact area with white flat-panel cabinet and stainless steel appliances. The tiled stone backsplash is well matched with the wall and the brown high curtain. 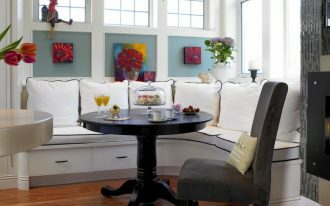 It is an eat-in kitchen where you have gloss oval dining table with leather dining chairs. This design gives you elegant nuance of black from the island and its cabinet. 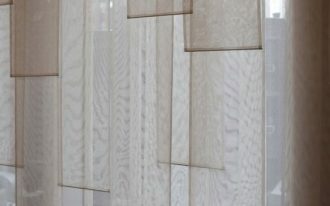 The medium tone wooden backsplash is applied to complete the design. 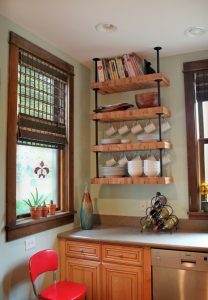 It is more fascinating to have the open cabinet, floating shelves and in cabinet lighting. 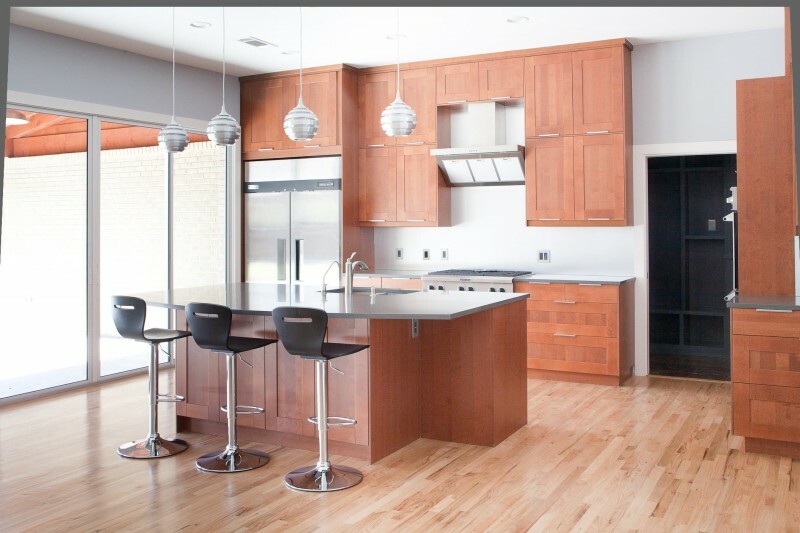 It is an open modern concept of single wall kitchen with limestone backsplash and medium tone wooden floor. 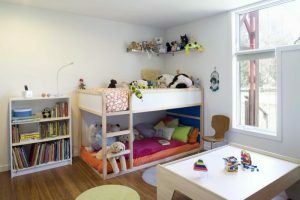 The design is quite simple with the white flat-panel cabinet, floating shelf and ceiling lamps. It is another simple design of single wall kitchen with wet bar concept. It has medium tone wooden cabinet and open floating cabinet. 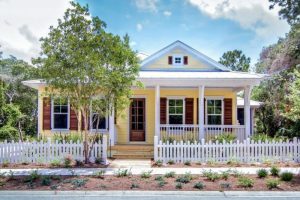 It applies white countertop over the cabinet and built-in fridge and wine cooler that may suit your preference. The wall never bored you with its grey texture. Black is always mesmerizing and elegant combined with the wooden furniture. Here, you have a set of black dining table and wooden cabinet with black countertop. 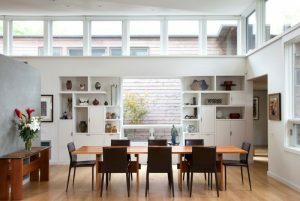 To add the appealing content, it applies the floating shelves and the beautiful pendant lights over the dining table. 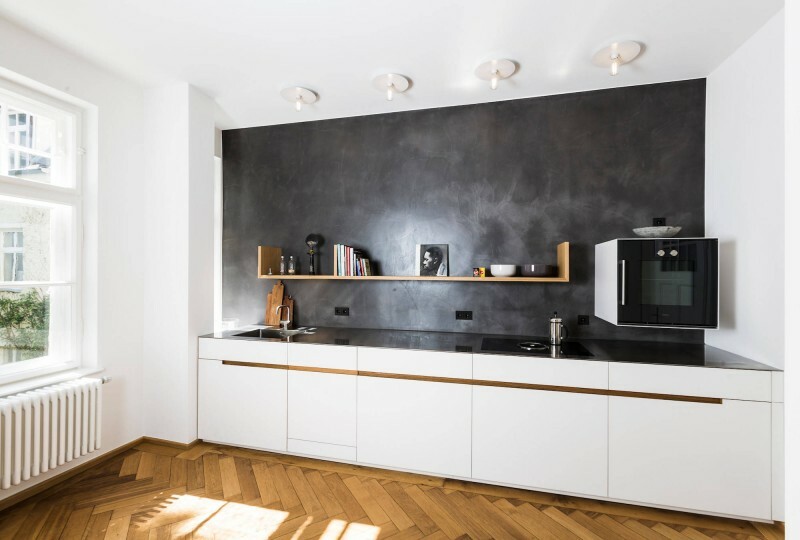 Even though it is still in black tone, the concept of this single wall kitchen is basically modern industrial one. It has high wooden ceiling and wooden floor. 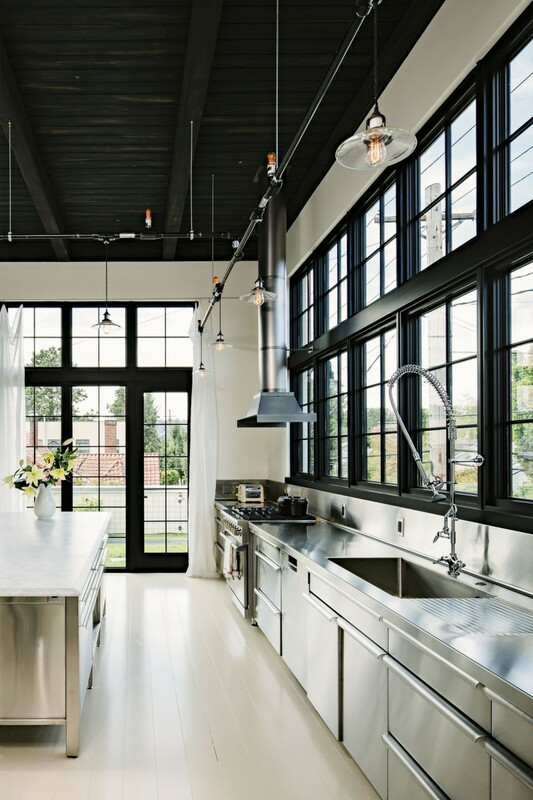 The door and windows’ trims are painted black to give a contrast color of stainless steel cabinet and appliances. In addition, the track lighting is adorable element you have to take a look. 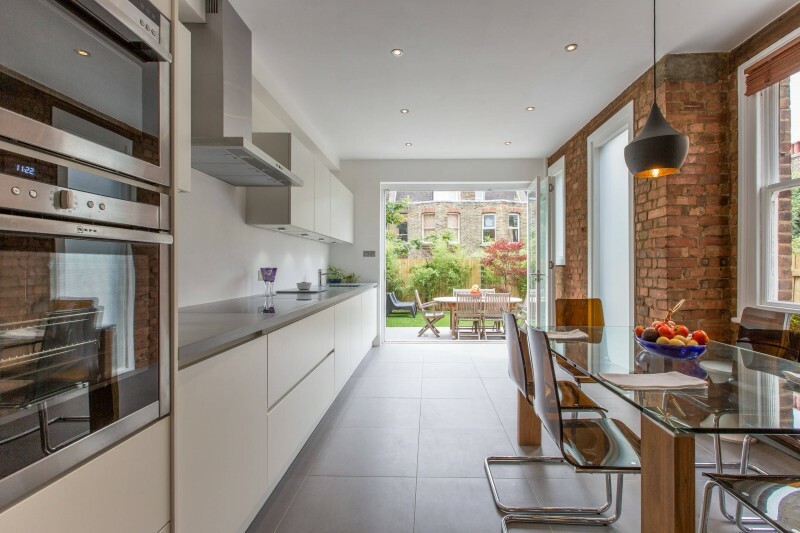 It is a single wall kitchen design from London with white flat-panel cabinet and brick wall overlooking it. What most interesting from this design are: the glass dining table and how this kitchen directly join the outdoor area. 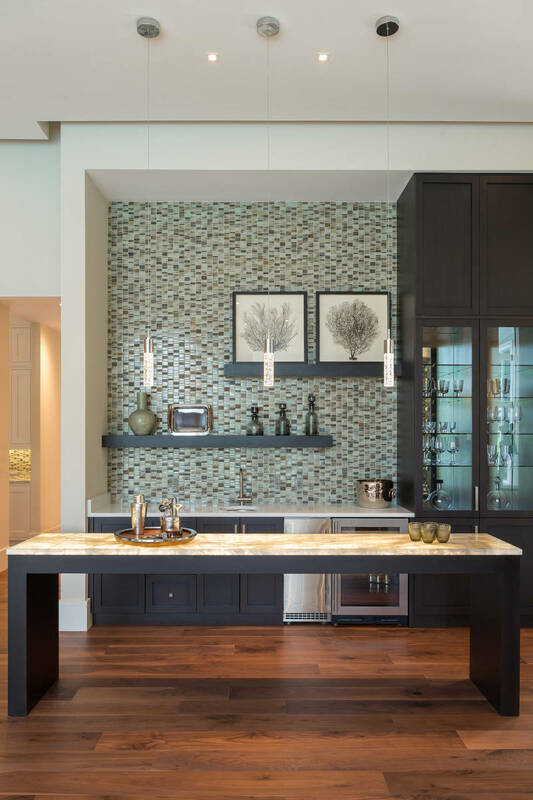 It is a home bar kitchen with single wall designed with very interesting idea of mosaic tiled backsplash and open island. 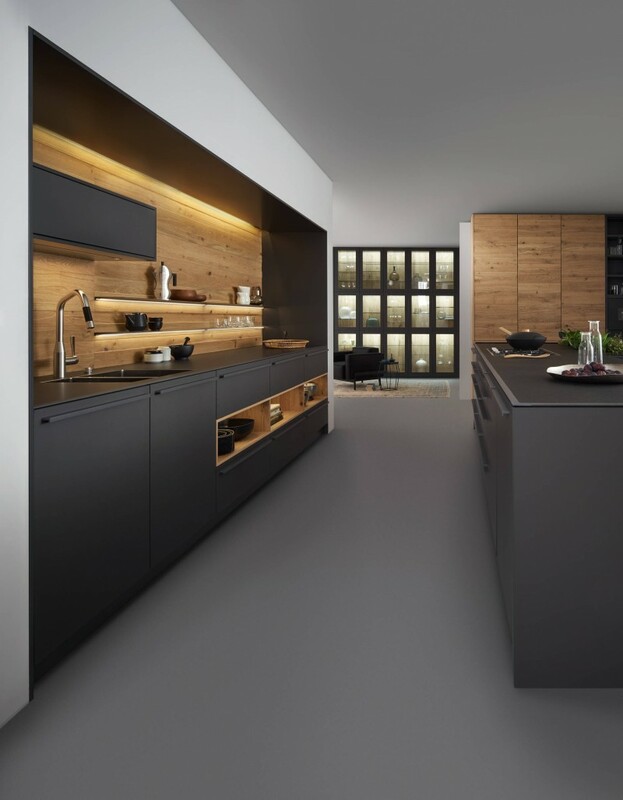 The cabinet is built in black color together with the fridge and floating shelf over it. 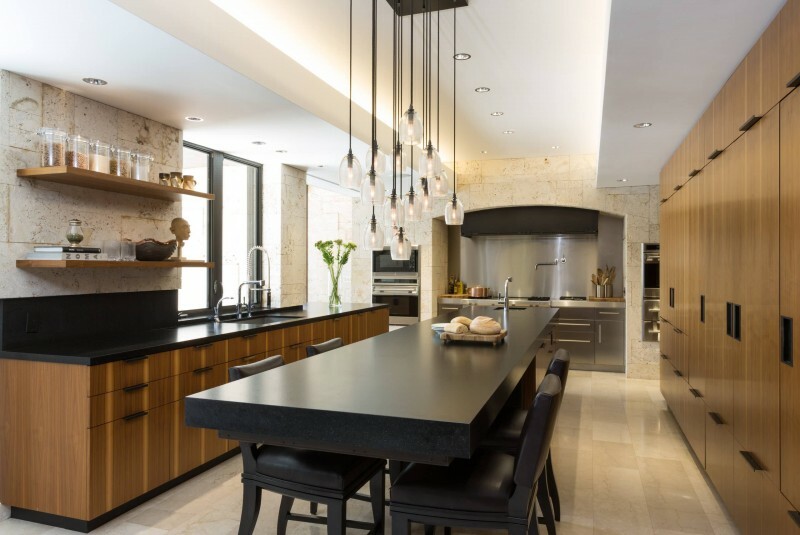 The pendant lights also enrich you with more appealing nuance. This design brings you with the wooden concept. You may refer to it from the dining area, flat-panel cabinet, floating cabinet and even the ceiling. It is wonderful idea for you who doesn’t really like colorful tone. 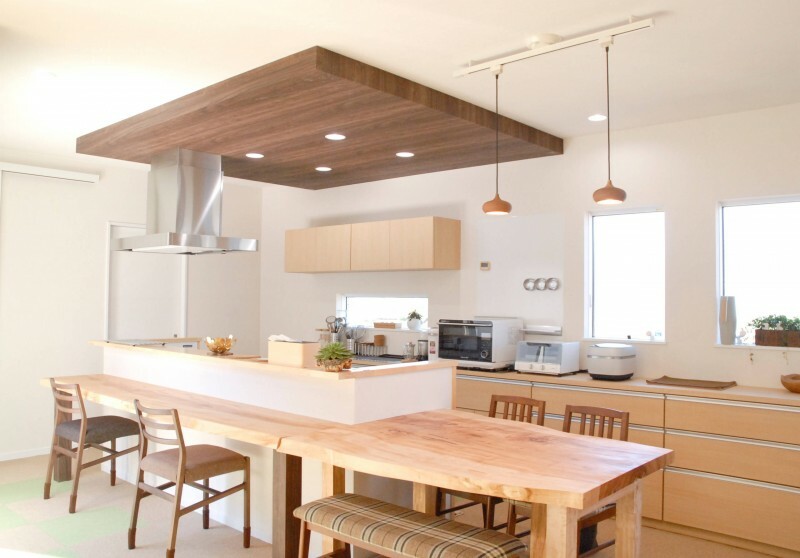 It is another idea of single wall kitchen with medium tone wooden furniture. However, the black stalls and metallic pendant lights are applied there to give you more contemporary view.